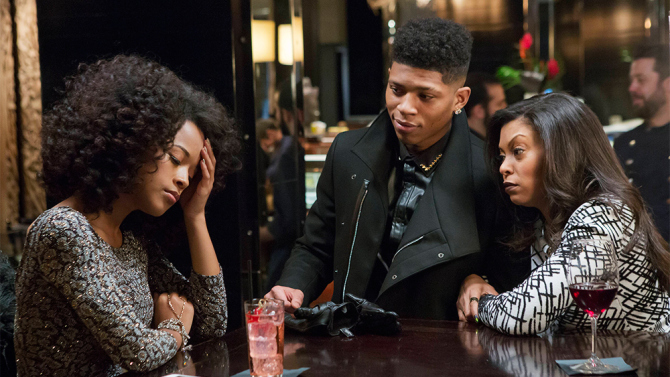 FOX’s hip-hop soap opera, Empire ratings keeps rising, and went up again last night, by more than 14 million viewers with an impressive 5.7 rating network that targets the African American audience among the 18-49 adult demographic. After struggling in the ratings this fall, FOX’s Empire a TV phenomenon ranks as a top-rated show for any regular broadcast drama in over five years, since Grey’s Anatomy on October 1, 2009. For the first episode, 62% of people under 50 who watched were African American, and now it produces increases of 43 and 50 percent, respectively, over the nine weeks it has aired on FOX. FOX’s Empire season finale airs on March 18th 2015. UPDATE: In updated Nielsen nationals released Thursday afternoon, Fox’s “Empire” was adjusted up to a 5.8 rating/17 share in adults 18-49 and 14.33 million viewers overall.